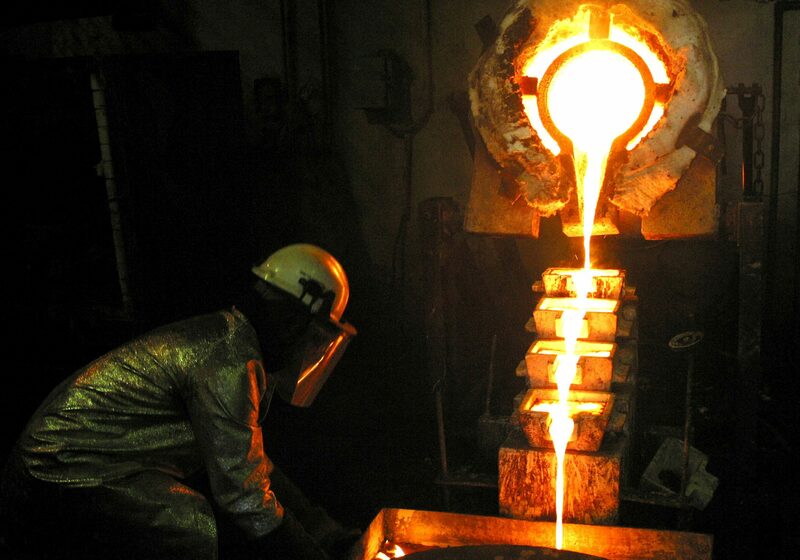 A worker pours gold at the AngloGold Ashanti mine at Obuasi, Ghana, October 23, 2003. Reuters: Ghana to miners:"Respect the land that provides the riches"
Tanzania might renegotiate contracts with oil majors to develop 58 trillion cubic feet of offshore natural reserves, Bloomberg reported on Feb. 6. Ghana President Nana Akufo-Addo and South African President Cyril Ramaphosa both attended the continent’s main annual miners’ conference, Mining Indaba, in Cape Town on Feb. 5.